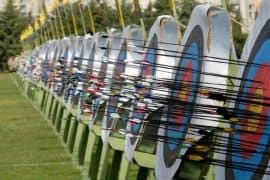 How Big are Olympic Archery Targets? Forget about the green water in the swimming pools during the Rio Olympics, the archery competition is where all the action was. During Olympics archers from all over the world compete for individual and team medals in a competition that can last for 8 days. The Olympic archery target size is much bigger than the other targets used in other international archery competitions. In fact, some competitions do not use the round faced target at all. How big is an Olympic archery target? The Olympic archery target size is about 48 inches or 1.22 meters in diameter. It has ten evenly spaced concentric rings that have different colors. The gold ring in the center gives either nine or ten points, the red one eight or seven points, the blue five or six points, black four or three points, and finally the white two or one point. The inner gold ring, right at the center of the target, is 4.8 inches in diameter. 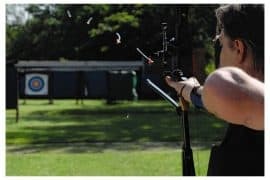 The Olympic archery target size is important because the target is positioned 70 meters away from the competing archers. Remember the athletes are focusing on the gold ring in the center of the target, which looks really small 70 meters away. So the distance between the target and the archers has to be adjusted if the target is smaller than 1.22 meters in diameter. For example, in other international competitions, a target with a 40 cm or 60 cm diameter face is positioned 18 m away from the archer. A target with an 80 cm diameter face is positioned 30 m and 50 m away from the archer. 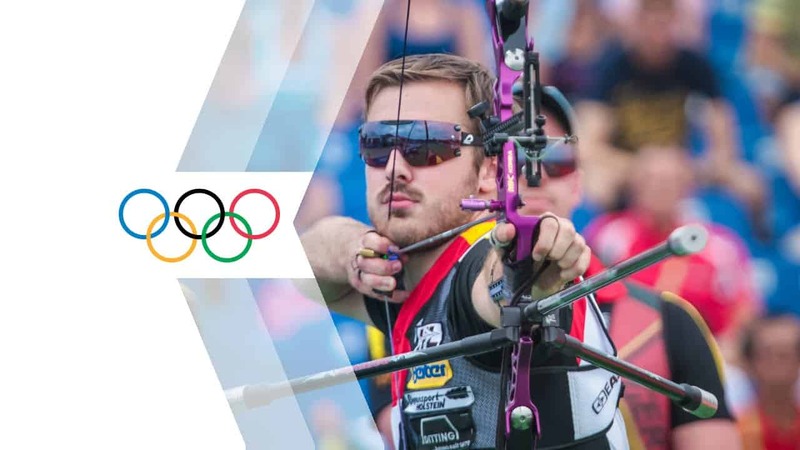 The International Olympic Committee (IOC) recognizes the World Archery Federation (WA), as the governing body for all archery and Olympic rules. These rules limit outdoor archery distances to between 30m to 90m for senior gentlemen archers. For ladies the distance must be between 30m to 70m. The indoor distances are either 18 to 25m. 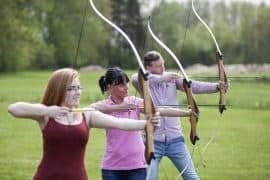 Archery competitions are divided into ends where an archer can either shoot 3 or 6 arrows. Archers can shoot up to 3 arrows in 20 ends for indoor competitions. The set time limit to shoot an arrow for indoor competition is 2 minutes for 3 arrows. Lights or flags are used to warn you if your time is up. This time limit helps prevent archers from taking “eternity” aiming their arrows as others wait restlessly. For 1440 outdoor round, you only have 4 minutes to shoot 6 arrows for the longer distances. The two shorter distances in the Olympics allow 2 minutes to shoot 3 arrows. All archers shoot a round of 72 arrows at the start of the tournament. They do this in 6 ends to reach the maximum score of 720. At the qualification round, the archers are ranked from 1 to 64 and then they move on to the individual head-to-head matches. In the individual matches, the set system introduced in 2010 is used to eliminate some archers as others get to progress to the next phase. These matches put two athletes against one another and the athlete that gets the most points at the end of the sets wins. In the finals, there are 5 sets and each set allows 3 arrows, and you have to shoot each arrow in 20 seconds. The athlete that gets the highest score in a set gets 2 points but if the athletes’ scores tie in a set, they both get one point. You win the trophy if you are the first one to get six points. But there are times when both athletes in the finals get the same number of points. In situation, the athlete whose arrow lands closest to the middle of the target wins the competition. The other athlete wins the silver while the two semifinal losers compete for the bronze in a separate match. The archery target has to be colorful because of the distance between it and the archers. In fact, the golden center looks so small from a distance that it would be hard to hit it if the target was of a neutral color. The target face is often tilted 15 degrees and its dead center is 130 cm from the ground. Archery is a wonderful sport that is so much better than golf (sorry golfers). You need to have a steady hand, a strong upper body and a keen eye to play this sport. 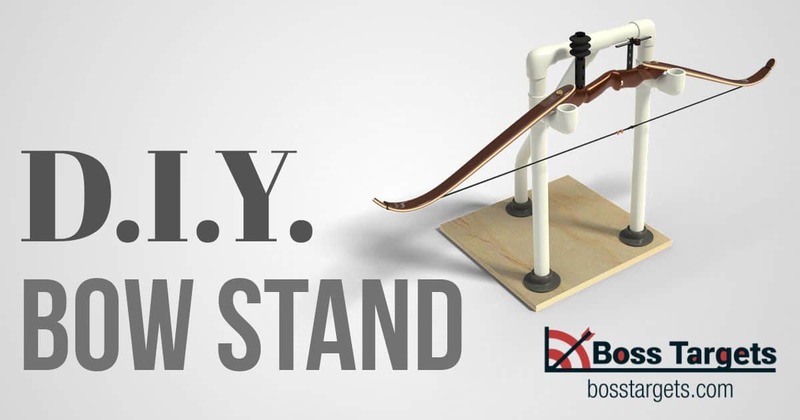 If you want to make your own Olympic Archery targets, check out our DIY post!